“Hear me, my chiefs; my heart is sick and sad. Chief Joseph, Native American name In-mut-too-yah-lat-lat, (born c. 1840, Wallowa Valley, Oregon Territory—died September 21, 1904, Colville Reservation, Washington, U.S.), Nez Percé chief who, faced with settlement by whites of tribal lands in Oregon, led his followers in a dramatic effort to escape to Canada. 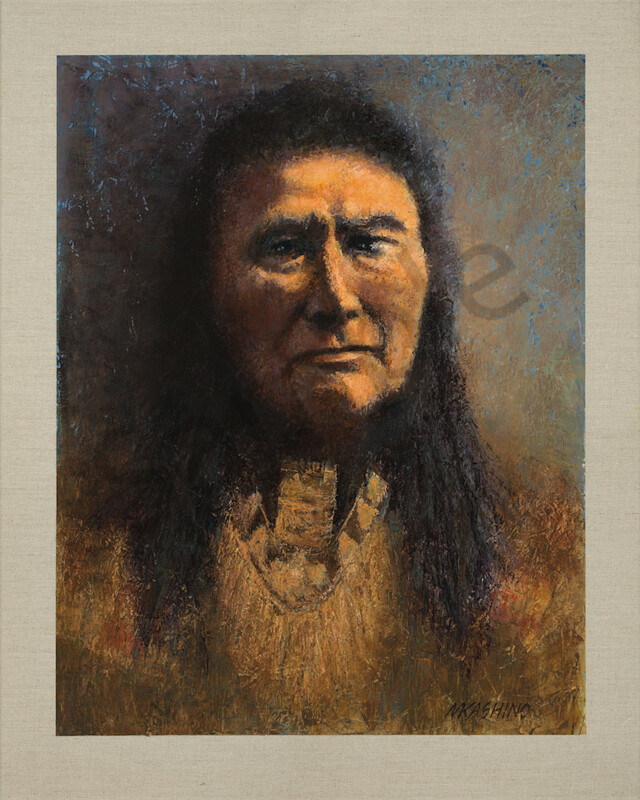 When the United States attempted in 1877 to force the dissenting Nez Percé to move to a reservation in Idaho, Chief Joseph, who had succeeded his father in 1871, reluctantly agreed. While he was preparing for the removal, however, he learned that a trio of young men had massacred a band of white settlers and prospectors; fearing retaliation by the U.S. army, he decided instead to lead his small body of followers (some 200 to 300 warriors and their families) on a long trek to Canada. 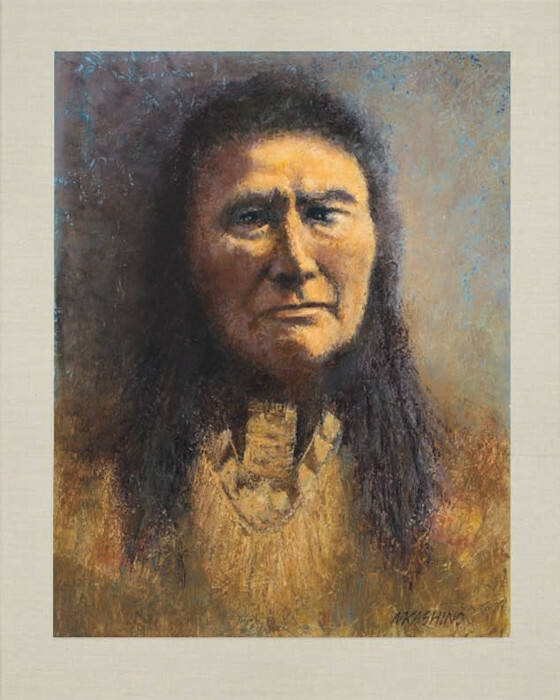 For more than three months (June 17–September 30, 1877), Chief Joseph led his followers on a retreat of about 1,600–1,700 miles across Oregon, Washington, Idaho, and Montana, outmaneuvering the pursuing troops, which outnumbered Joseph’s warriors by a ratio of at least ten to one, and several times defeating them in actual combat. 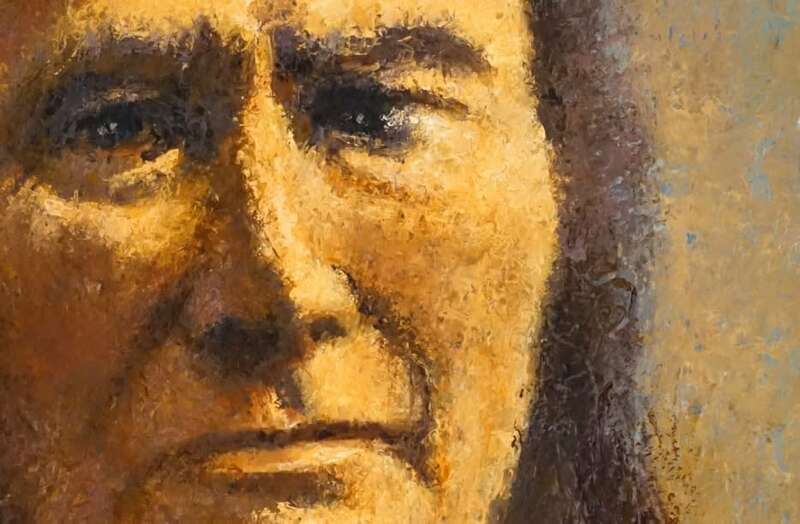 During the long retreat, he won the admiration of many whites by his humane treatment of prisoners, his concern for women, children, and the aged, and also because he purchased supplies from ranchers and storekeepers rather than stealing them. Photo by Milton Loryea: Born in Sacramento, CA in 1860. During the 1880s Loryea had photography studios in San Francisco and San Jose where he was active until at least 1889. He died in Los Angeles on Nov. 27, 1922.